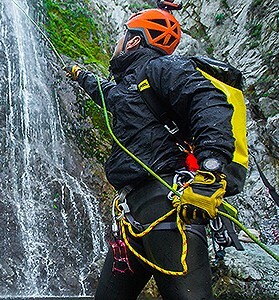 The VT Prusik is a versatile canyoneering tool. 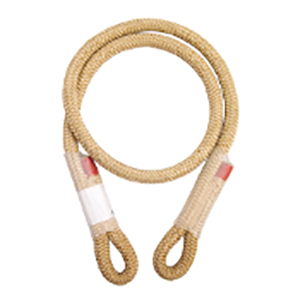 It can be used for ascending, descending, passing knots, self belay, and many other applications. This can be tied as a prusik, an asymmetric prusik, as an auto-block hitch, as a French braid, and as a valdotain tresse (VT). When tied as VT, it is a rope grab that is releasable even when under load! The sheath is made from Technora that will not melt; the core is nylon. 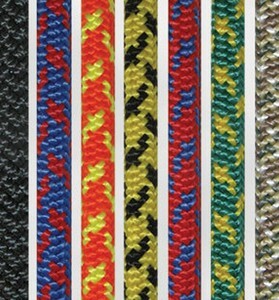 Category: Webbing & Slings, etc. Tag: Advanced.